Created by the Chevrolet Global Content Studio, this short piece of responsive content showcases Chevrolet’s 3D Printing lab, where engineers can create rapid prototypes using 3D printing technology. Chevrolet Global Content Studio strategists noticed a trend in social media conversation around high-tech vehicle production techniques. 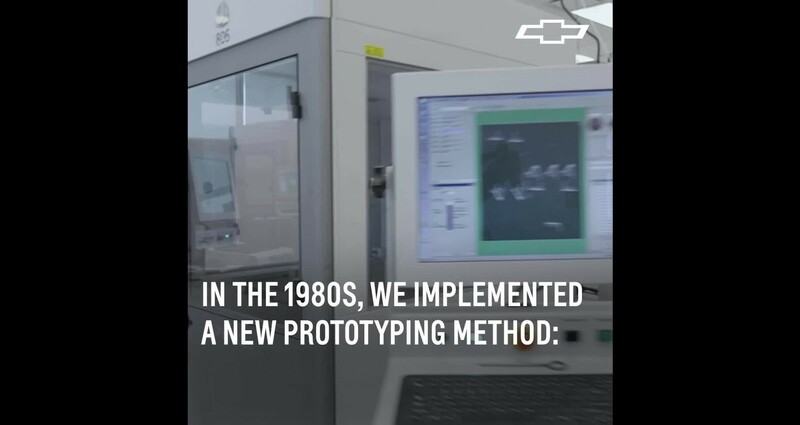 My partner and I were challenged to create a short piece of responsive content showcasing how Chevrolet has been using 3D Printing technology since the 80’s for rapid prototyping. To be truly responsive to the trend in conversation, this piece was on a tight deadline, so aligning times for the creative and production team to get into the extremely busy 3D Printing lab was a challenge. Additionally, this piece was created for use across Chevrolet’s global markets, so creating translated versions put extra pressure on our already tight deadlines.